Kiplon and Tameeka were certainly meant to be! Meeting them in person was such an amazing experience because you could actually see how much they loved one another. Their wedding ceremony and reception was a reflection of that love and we were blessed to take part in their beautiful day. We had an opportunity to recently interview them after their nuptials to catch up and get some details about life after the ceremony. On their wedding day, our first stop was the hotel where both the bride and groom’s parties were getting dressed in separate rooms. We interviewed Tameeka and Kiplon individually and also shot video of them preparing for their day. Tameeka was the calmest bride I’d ever seen! She had a very kind and genuine spirit. Her friends and family surrounded her. She was dutifully and graciously assisted with her dress​ and makeup tasks. Their fun and laughter was very contagious and welcoming. From the playful flower girls to the stunning bridesmaids, this bride had her entire team ready for their day! Kiplon and his groomsmen, while hidden in another room, were very calm, cool and collected. Kiplon showed his anticipation and excitement of marrying his soon-to-be bride. Their big day had finally come and he was ready to see his future Mrs. Boyce! The church was beautifully decorated with flowers and a wonderful awning by the altar. As the guests poured in, there was a fun and hopeful atmosphere of being able to witness their loved ones tie the knot! 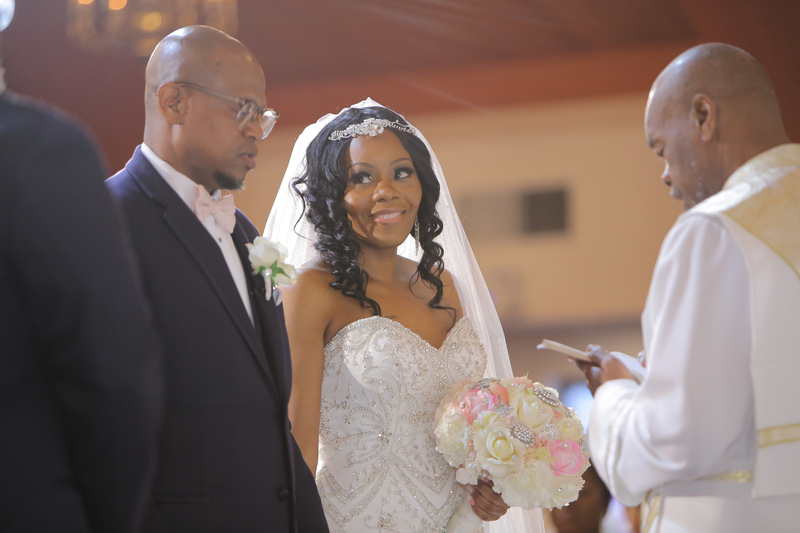 As Tameeka gracefully walked down the aisle, Kiplon started to tear up at the sight of his beautiful bride. Their ceremony was very unique and full of beautiful songs from the wedding party. When the pastor pronounced them man and wife, there was a resounding applause of joy from the crowd. It was definitely a wedding to be remembered. 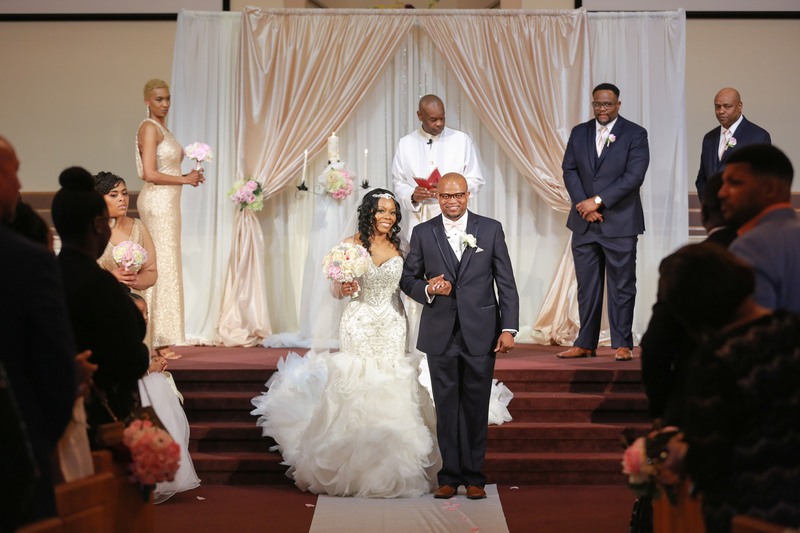 Kiplon and Tameeka held their reception at the Gaston Conference Center. The beautiful and unique décor from the wedding team was so amazingly put together! 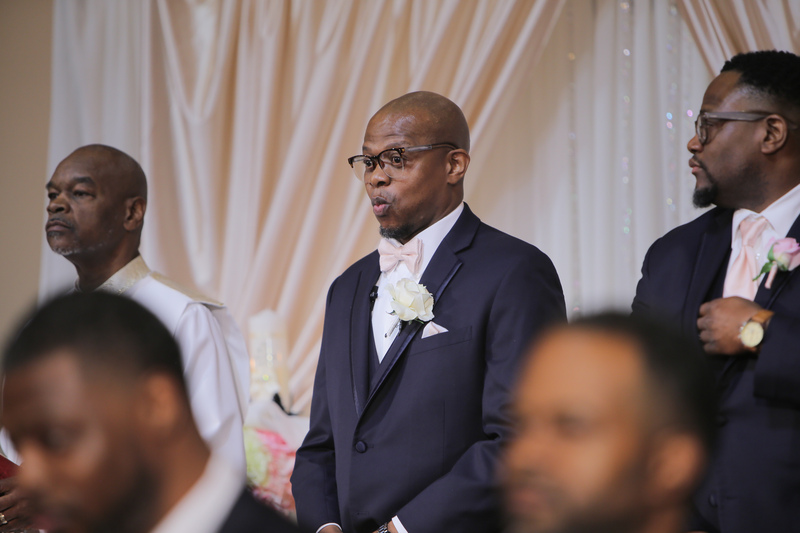 When the newlyweds walked into the venue alone to get the first look of the reception space, they both shed tears at the unexpected yet amazing sight! They were so overjoyed in fact, that they had a short but intimate first dance just for the two of them. To take in the moment. To realize they were meant to be. To realize that they did it! The food and DJ were amazing as the guests had a wonderful time throughout the evening. Being able to see true love in a couples eyes is an experience within itself and Kiplon and Tameeka will continue to live in wedded bliss for years and decades to come! We wanted to check in with the lovely couple after their “I do’s” to review their thoughts of that special day. Check out the wedding highlight video below along with words directly from the couple! 1. How did you two first meet? 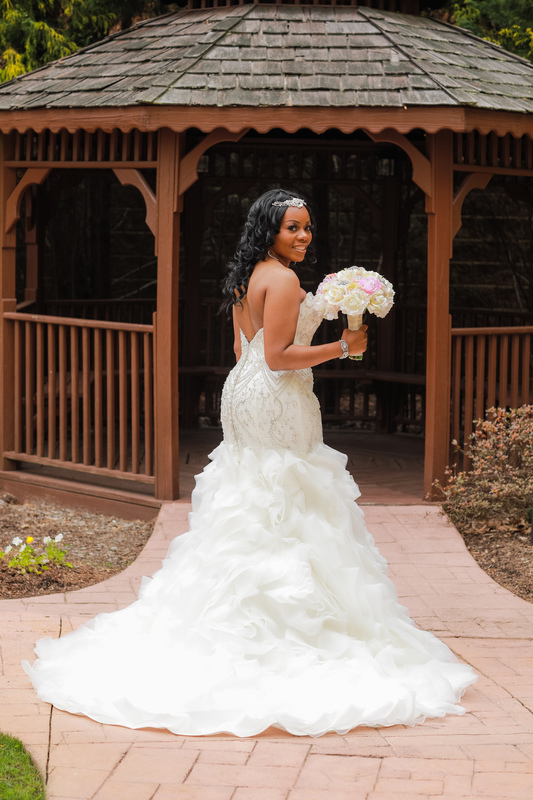 Tameeka: We met in Western Literature class while attending Belmont Abbey College. 2. How did you know that they were "the one"? Kip: When I thought of Tameeka before I thought of myself. 3. What was your most memorable experience with your wedding day? Kip: The most touching moment was walking into reception for the first view, and literally being in awe. Tameeka: Walking into the reception venue and just crying. It was beautiful. 4. When you first saw your spouse on your wedding day, what were your thoughts? Kip: Woooowww! I am a blessed man! Tameeka: When I first saw Kip, I simply smiled. My thoughts were of pure joy. The day is finally here that I marry my friend, my biggest supporter - my God send. 5. What is your advice to other engaged couples regarding wedding planning? Kip: Begin planning as early as possible. Tameeka: I would tell other engaged couples five things: 1. GET A PLANNER - Ivy to be more specific. Yes I am bias. 2. Set your budget and stick to it. 3. Complete marriage counseling. 4. Stay in your happy place. Remember your wedding day is about the two people at the altar becoming husband and wife. People who truly love and support you will be there, so do not try to appease everyone. 6. What was your biggest or most unexpected challenge of the day? Tameeka: Going into "Wedding Week" I had several prior brides tell me "something will go wrong wedding day - it's normal". However, God was on our side and knew the sacrifices Kip and I made both spiritually and naturally, so HE blessed us with a PERFECT day! The day went on without a hitch! I am so thankful! 7. What have you learned about your significant other since your wedding day? Kip: I truly learned how much she loves me throughout my faults and flaws. Tameeka: The one thing I learned, or shall I say realized without a doubt about my husband is he truly loves me, and will move mountains to ensure I am happy. 8. What do you love the most about your spouse? Tameeka: I love his selflessness and thoughtfulness towards me. ​NOW CHECK OUT THEIR Wedding Highlight! ​Want to see more? LOL well you have to contact the Bride and Groom to see the full day! Absolutely love, love, love, love this. I would definitely recommend future bride and groom’s use your services.